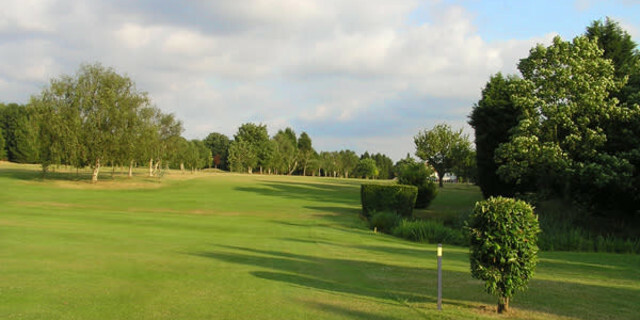 Set in the heart of the town itself, Romford Golf Club offers some tranquillity from the hustle and bustle of its surrounding area and is a truly excellent test of golf. With the course itself dating back to 1894, this parkland layout has matured into a fine golf course enjoyed by its members and visitors alike. Over the years the course has seen a number of alterations and improvements, twice by James Braid and then by Harry Colt in 1920. It was then secretary W.A Murray who added bunkers to the course to offer one of its main defences with over 100 of the hazards now protecting the course. The reception we received was fantastic. The small, tidy and well stocked pro shop had all the essentials needed and the pro pointed us in the direction of the first tee. You will find two practice putting greens. One of which is artificial, as well as a short game area and two warm up nets. A fairly gentle start to the front 9 with the first two holes playing 351 yards and 304 yards. I felt it wasn't until the 3rd hole that you get your first true test. 193 yard par 3 into a very well protected green. Anything left right or long is likely to get punished, but it's the tee shot and the tight trees you need to hit through to be able to find the putting surface that will provide the test. If you hit a hook or slice you may be in a spot of bother. Going into the 4th the length theme continues. 476 yard par 4 with well placed fairway bunkers on either side means a long and true tee shot is required to even have a chance of hitting the green in two. If you were offered a five on the tee it wouldn't be a bad option! Tightness again on a par 3 at the 6th makes for another wonderful hole but the stand-out hole on the back was the 7th. A fairly blind tee shot where position is vital. The large trees on the right hand side of the small dog-leg means anything right will leave you blocked out. Left is the play before an approach shot into a green surrounded once again by a number of mean looking bunkers. Where the front 9 started fairly gently, the back 9 is completely opposite. 455 yards on the 10th, again into a well guarded green is a tough start the the back. The 11th - a 485 yard par 5 - Is a fun hole. Leaving yourself short of the bushes that move across the fairway is key, you will then be faced with a good second shot up to the green. A 221 yard par 3 - again tight off the tee due to the trees is another great hole at 13. 15 and 16 are shorter par 4's, both around 330 yards so longer hitters will leave just a wedge and a good scoring opportunity - providing you avoid the fairway traps. The finishing hole requires a good fade from the tee to be in position A and be able to have a go at the green in two. As par 5's and finishing holes go this is right up there with the best as the old club house sitting behind the green and waiting for you to finish! I would say the bunkers are Romford's biggest defence. As mentioned earlier, the course has well over 100 with a mixture of well placed penal fairway bunkers and deep tricky greenside traps. 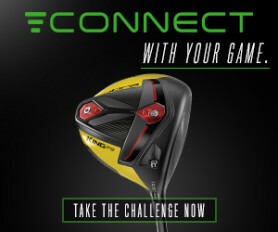 This makes for a real test of golf for those that like to think and plot their way around. Course management is key if you want to shoot a good score and pulling out the driver isn't the best play on a several holes. 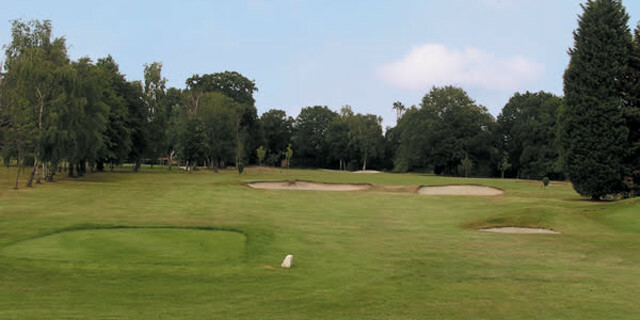 The course at Romford was in great condition. The whole course had held the overnight and mornings rain brilliantly and the greens themselves were superb. The bunkers are well maintained as is the rest of the course. 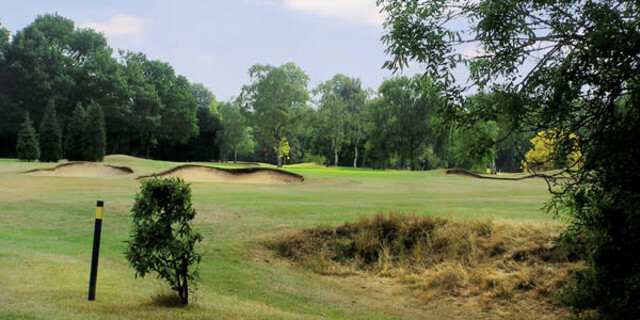 Overall I think Romford, a course steeped in history, is a fantastic venue, great golf course and I think it will continue to be one of the best courses in Essex and have a future as bright and interesting as its past.